May 7, 2018 by Ken Ward Jr. 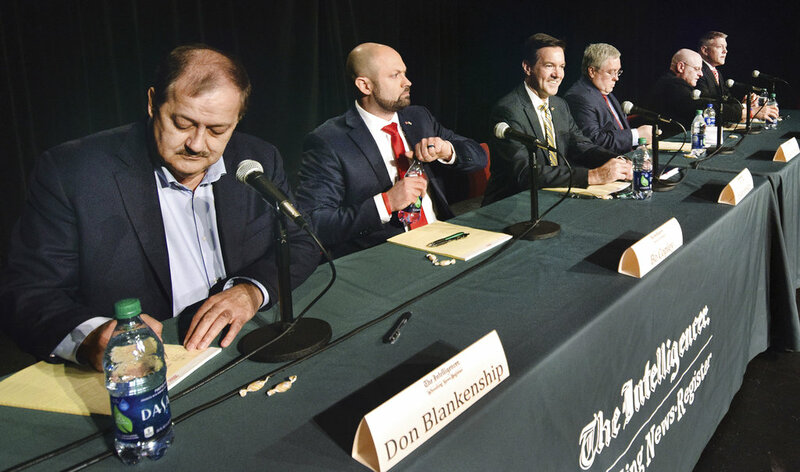 Candidates, from left, Don Blankenship, of Williamson, Bo Copley, of Delbarton; U.S. Rep. Evan Jenkins, R-W.Va., of Huntington, West Virginia Attorney General Patrick Morrisey, of Charles Town, Jack Newbrough, of Weirton, and Tom Willis, of Martinsburg, participate in a debate in Wheeling, W.Va., Monday, April 23, 2018. AP photo. If you are among those who get a lot of your news from Facebook, you have probably seen a lot of people who aren’t fans of Don Blankenship calling the former Massey Energy CEO a “felon.” Heck, if you are a consumer of a lot of political news from major outlets, you probably saw the word used there a few times as well. But the fact is that Blankenship, while he is a lot of things, is most certainly not a felon. No, the charge he was convicted of — conspiring to violate federal mine safety and health standards — is a misdemeanor. That’s because the underlying crime he was found by a jury to have conspired to commit — violating those standards — is a misdemeanor. The difference is important. Not only does it mean that the most time Blankenship could have done in prison for that conviction was one year, but also it means that, really, our society considers what he did to be a minor crime. As West Virginians go to the polls, though, it’s worth thinking about this a little bit more. Especially so since Attorney General Patrick Morrisey decided, just two days before the primary, that it was time to go after Blankenship for his criminal conviction. Many of the questions at yesterday’s Morrisey campaign press conference focused on the sort of insider stuff that political reporting thrives on: Why now? Was this some indication Morrisey believed Blankenship was surging in the polls? What if Blankenship wins the primary? 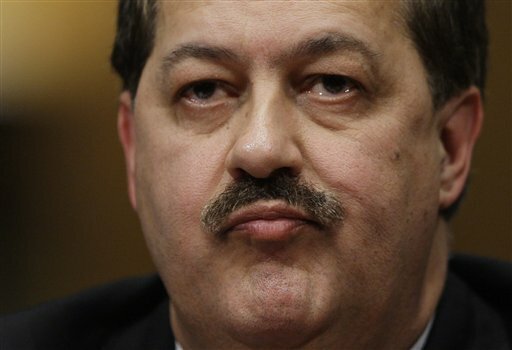 Would Blankenship support him against Democratic Sen. Joe Manchin in the fall? Joe Manchin has had a bill out that would actually advance the crime from a misdemeanor to a felony of conspiring to violate mine safety and health standards. Do you support that idea? So I actually would support a law if you knew that there was very clear intent on the part of an executive or on the part of an individual. It’s a very, very serious issue when you’re talking about conspiracy to violate mining standards or things that led to death, that I would be very open to making that a felony. But I think it’s really important to make sure that you have very clear intent in terms of the specifics of the allegation, and so I’d want to take a look at that language. But it’s clear to me that everyone must be accountable within the corporate channels. January 2, 2018 by Ken Ward Jr.
It’s been 12 years since that early morning explosion in Upshur County. Twelve years since the Sago Mine Disaster. A year for each of the families who lost someone they loved. “Preliminary information indicates Thurman A. Watts of Harts, WV, died when a dozer he was operating traveled over the high wall,” the state Office of Miners’ Health, Safety and Training said in a prepared statement Friday. Watts died at about 1 a.m. at the Revelation Energy, LLC, Revelation S7 mine in Fayette County. “I don’t have any information on the surface conditions at the time of the incident,” Samantha Smith, a spokeswoman for the state Office of Miners’ Health, Safety and Training, said in an email. “MHS&T is conducting an investigation. Thinking of all those we lost 12 years ago today during the tragic Sago Mine incident and continuing to pray for their loved ones. We should never forget all that our miners have sacrificed and done for West Virginia families and communities. These deaths are tragic. They should remind us of the sacrifices coal miners make. Personally, I think praying for their families is a fine idea. This is another senseless and preventable death in our nation’s mines. We owe it to our coal miners — and the families of those who have suffered these deaths — to redouble our efforts to reach the only goal we should all have: Zero mining deaths and injuries. We know how to keep coal miners safe and there’s no excuse for not doing it. November 14, 2017 by Ken Ward Jr. When we last left Rep. Alex Mooney, the West Virginia Republican was voting with the state’s other House members in favor of a budget cut for the U.S. Mine Safety and Health Administration. Today, Rep. Mooney is set to be pushing another mine safety measure — this one aimed at eliminating the requirement that publicly traded mining companies report certain mine safety information when they file financial disclosures with the U.S. Securities and Exchange Commission. 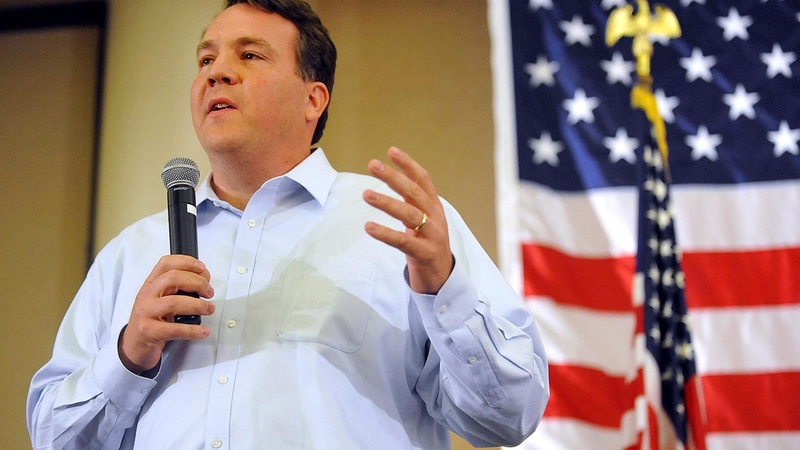 Rep. Mooney is the lead sponsor of H.R. 4289, which was introduced just a week ago, but it on the fast track with a markup scheduled this morning in the House Financial Services Committee. It’s on a long list of nearly two dozen bills the committee plans to take up today. It doesn’t appear that Rep. Mooney issued a press release to announce this legislation, and so far a spokesman hasn’t provided any answers to my questions about the bill. UPDATE: See below for some answers from a spokeman for Rep. Mooney. (I did get an emailed statement in which Talley Sergent, a candidate in the Democratic primary for Rep. Mooney’s seat, criticized the legislation as an effort “to repeal crucial mine safety measures” and the congressman “a hypocrite” who “tweets condolences to deceased coal miners and then betrays their memory by repealing mine safety measures”). Some readers may recall that these safety reporting requirements were added to mandated SEC disclosures back in 2010, after the Upper Big Branch Mine Disaster, in a move by then-Sen. Jay Rockefeller, D-W.Va., and as one of the last legislative actions by the late Sen. Robert C. Byrd, D-W.Va.
October 10, 2017 by Ken Ward Jr. The U.S. Supreme Court has declined to hear former Massey Energy CEO Don Blankenship’s criminal mine safety conviction. September 29, 2017 by Ken Ward Jr.
A worker at Bridger underground mine in southwest Wyoming died Thursday after a slab of coal fell on him. Jaime Olivas was moving mining equipment at about 4 p.m. when the slab came loose and struck him, according to an announcement from Bridger Coal Company and Rocky Mountain Power officials. Co-workers provided first-aid to Olivas, a mining equipment operator, and he was conscious and talking when he was brought from the mine, according to the announcement. However, he died while being taken by ambulance to a Rock Springs hospital. 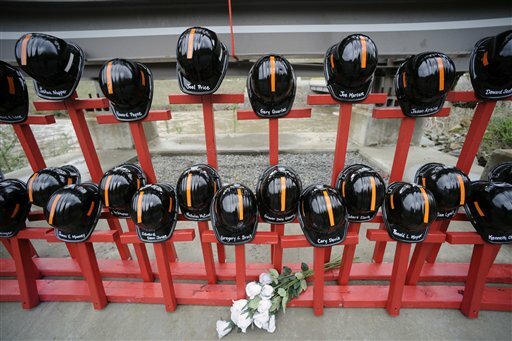 That makes 13 U.S. coal-mining deaths so far this year. August 23, 2017 by Ken Ward Jr.
There’s been a lot of buzz this week over leadership changes by the Trump administration at the U.S. Department of Labor and the department’s Mine Safety and Health Administration. Labor Secretary Alexander Acosta shuffled his top staff this morning, moving chief of staff Wayne Palmer to the Mine Safety and Health Administration and replacing him with Acting Solicitor of Labor Nicholas Geale. Palmer will now serve as assistant labor secretary for mine safety and health, the top spot at MSHA. Geale will temporarily serve dual roles as chief of staff and solicitor of labor. Geale said in a written statement that Palmer’s “role at MSHA is something that’s been in the works for a while,” noting that Palmer had roots in Pennsylvania and that mining was in his family’s background. “His leadership as acting assistant secretary will be critical as we work to ensure the safety of our nation’s miners and address some of the challenges that MSHA has had.” No word yet on who Trump will nominate for the assistant secretary position; a White House spokesman declined to comment. The appointment of Mr. Wayne Palmer as Acting Assistant Secretary for Mine Safety and Health is a matter of great concern to us. At a time when fatalities and serious injuries are on the rise again, after having fallen for six consecutive years, the appointment of someone with absolutely no apparent experience in mine safety and health to this position is troubling, to say the least. Mr. Palmer may be a fine man and has experience working in the government. But what does he know about float coal dust and its dangers? What does he know about mine inspections and why they are important? What does he know about the need for ventilation, roof control, rock dusting, and a hundred other things that the person in charge of keeping our miners safe and secure needs to know? 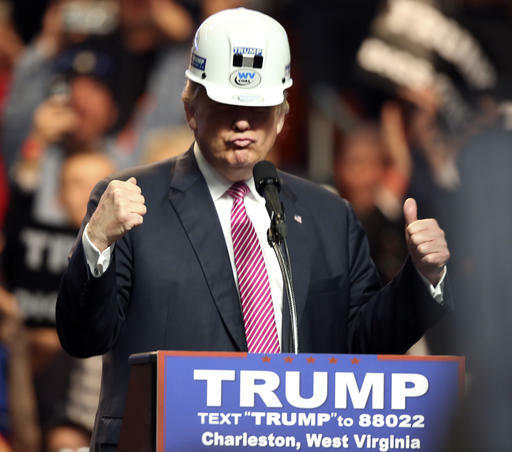 This evening’s visit to Huntington by President Donald Trump will undoubtedly involve the president talking up the coal industry and touting what he continues to insist is a major rebound that will only keep growing. 1. Be wary of assertions or predictions (like this remarkably misleading boasting by Gov. Jim Justice) that another huge coal boom is underway or is just around the corner. Production actually dropped somewhat in the second quarter of this year. And while jobs are up a bit, much of this is in the highly volatile steel-making coal market, and most experts see little evidence that this is going to drive the sort of turnaround that many folks in the coalfields dream is coming. 2. While professing to just absolutely love coal miners, President Trump is overseeing what could be the start of a significant dismantling of many important safety and health protections for coal miners. His Labor Department is working out a settlement of an industry challenge to an important rule that toughened enforcement in the wake of the Upper Big Branch Mine Disaster, and the recently announced regulatory agenda for the department’s Mine Safety and Health Administration delays or drops some key rulemaking initiatives. 3. Coal mining deaths are up so far under the Trump administration. As of this morning, there have been 10 reported coal-mining deaths nationwide in 2017. That’s more than the eight mining deaths that occurred in all of 2016. Meanwhile, the only new effort by MSHA to respond to this is one of those voluntary compliance assistance programs, a program that is drawing criticism from the United Mine Workers union. And not for nothing, but the president still hasn’t appointed anyone to serve as assistant labor secretary for mine safety and health. UPDATED: MSHA has confirmed this afternoon that another coal miner was killed on the job last evening in Colorado, pushing the number of fatalities this year to 11. 4. While the science continues to show serious environmental damage from coal-mining (and potentially grave threats to public health), the Trump administration is working hard to dismantle new standards aimed at reducing the impacts. Getting rid of the Interior Department’s stream protection rule wasn’t enough, though. Just this week, as the administration prepared for the president’s trip to West Virginia, Interior was touting a move to streamline processing of new mining permits. 5. 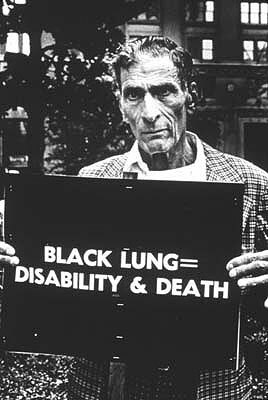 Black lung is a real worker health crisis in Appalachia. NPR’s Howard Berkes continues to document this disaster (see here and here), but there is little response from policy makers and certainly not from the president who claims to care so much about coal miners. 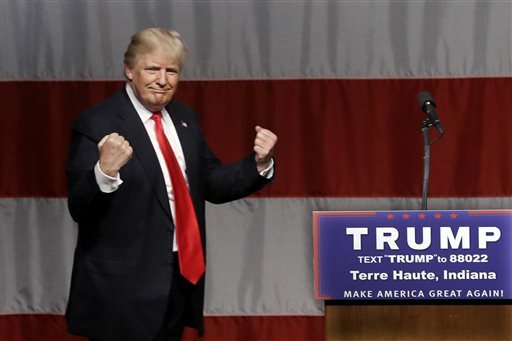 July 21, 2017 by Ken Ward Jr.
Of course, we’re still waiting for President Donald Trump to let us know who he wants to have running the U.S. Department of Labor’s Mine Safety and Health Administration. The Trump administration is negotiating to settle legal challenges brought by Murray Energy and a collection of industry trade associations over a rule change meant to toughen federal coal mine safety enforcement following the deaths of 29 miners in the Upper Big Branch Mine Disaster in 2010. A federal magistrate judge in Ohio has put two similar cases — one brought by Murray Energy and the other by coal associations in Ohio and Kentucky — on hold following a joint motion by the industry plaintiffs and the U.S. Department of Justice, representing federal mine safety regulators. The joint motion indicated the parties believe they can work out a deal that would resolve mining company objections to an Obama administration rule meant to beef up enforcement against repeat violators of standards meant to protect the nation’s miners. “Rather than concurrently litigating and negotiating a possible settlement of the dispute, the parties are open to negotiating a mutually agreeable resolution that could avoid further litigation,” said the joint motion, filed earlier this month in U.S. District Court in Columbus. “The parties have since discussed their commitment to a structured series of conferences to consider a negotiated resolution,’ the joint filing said. And now, with this week’s somewhat late release of the spring update of the Labor Department’s regulatory agenda, we can get a look at what the Trump administration is going to do with some other important MSHA rules (for a broader examination government-wide at Trump’s regulatory agenda, read this story from The Washington Post). June 22, 2017 by Ken Ward Jr.
As expected, Murray Energy and its CEO, Bob Murray, have filed a lawsuit against HBO and its Sunday night personality John Oliver over the blistering commentary on Murray and his company (watch it here). The deceitful and damaging statements of Time Warner, HBO, and their operatives were clearly a deliberate attempt to assassinate the character of Mr. Robert E. Murray, a champion of the United States coal industry and patriotic American, and to destroy Murray Energy, a company which Mr. Murray founded nearly thirty years ago and built into the largest underground coal mining company in the United States. Allowing these false statements to stand unrefuted would be a disservice to the Company’s employees, who rely on Mr. Murray and Murray Energy for their continued livelihoods, and to the Company’s lenders, customers, and suppliers who depend on our integrity and performance. 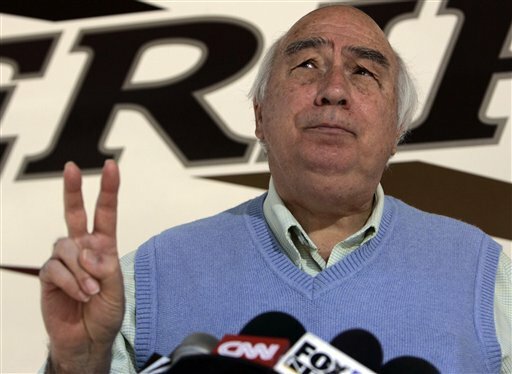 The false and defamatory statements in this broadcast severely and destructively impact Mr. Murray, and all of Murray Energy, particularly our Mines in the State of West Virginia, where we are the largest coal mining employer in the State, as well as coal mining itself, one of the primary foundations of that State’s economy. … The challenged statements in The New York Times’ editorial at issue are both true and expressions of opinion and commentary on a significant matter of public concern, not actionable under First Amendment precedent or applicable West Virginia law. The entire UMWA family is mourning the loss of our brother miner, Marius Shepherd, 33, a member of UMWA Local Union 2133, who was killed at the Seneca Coal Resources Oak Grove mine in Hueytown, Ala., on Monday. Our hearts and prayers go out to his family and we stand ready to assist them at this terrible time. Brother Shepherd died as a result of injuries sustained after leaping from a runaway locomotive underground. Our safety representatives have been on the site since immediately after the incident and are participating in the investigation along with the federal Mine Safety and Health Administration. This is the ninth fatality in U.S. coal mines this year, one more than all of last year. All stakeholders in the mining industry – employers, government safety agencies, and the workers – need to take steps to stop this deadly trend. I note that the Mine Safety and Health Administration has instituted a ‘compliance assistance’ program to address this. The UMWA is not and never has been in favor of so-called ‘compliance assistance’ programs, and this one is no different. MSHA is giving the operators leeway to select who can participate in this program and who cannot. To be effective, MSHA’s program must be training everyone receives. And, despite our 127-year history of dealing with mine safety issues and developing solutions to those issues, MSHA failed to reach out to us at all with respect to developing this program. June 21, 2017 by Ken Ward Jr.
Photo from U.S. MSHA / On May 18, a miner was killed at the Pinnacle Mine in Wyoming County when his head hit the mine roof and/or a roof support. 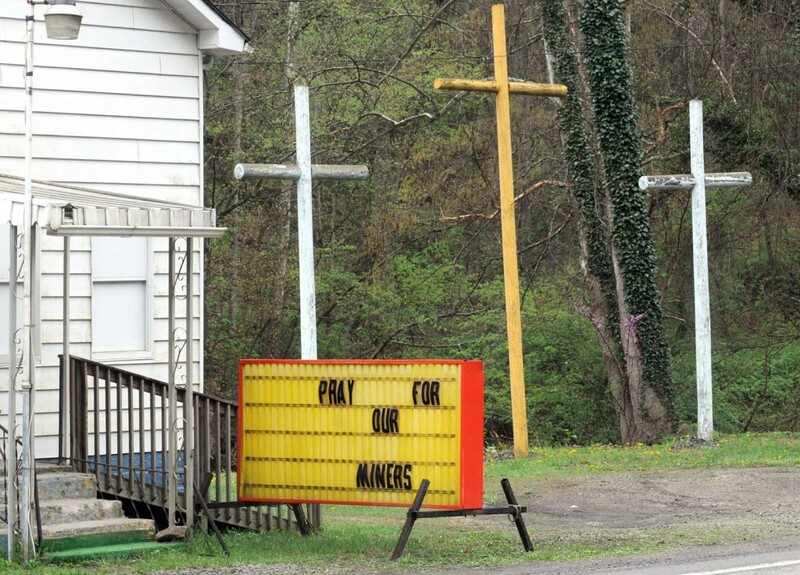 While I was out of pocket last week, another West Virginia coal miner was killed on the job. The West Virginia Office of Miners’ Health, Safety and Training confirms a fatal incident occurred Tuesday, June 13, 2017 at 8:47 p.m., at the Rockwell Mining LLC, Gateway Eagle Mine in Boone County. Preliminary information indicates Rodney S. Osborne of Artie, WV, was operating a continuous miner at the time of the incident. Mr. Osborne was a continuous miner operator at the mine; he was 32 years old. Inspectors from the West Virginia Office of Miners’ Health, Safety and Training have started their investigation. The mine is idle at this time. Two locomotives were transporting supplies into the mine on three rail cars. While traveling in an inby direction, the locomotives lost control of the load. The victim was riding on the front locomotive along with a motorman. The victim was thrown from or jumped from the locomotive and suffered fatal injuries. An inspector was at the mine when the accident occurred and … the investigation is ongoing. Waiting for the deal: What will be compromised in latest “Coal Jobs and Safety” legislation? March 20, 2017 by Ken Ward Jr.
At least that’s what state Sen. Randy Smith, R-Tucker, indicated on Saturday. The actual language of the expected “committee substitute” hasn’t been made public yet, but will apparently be discussed tomorrow during a 1 p.m. meeting of the Senate Committee on Energy, Industry and Mining, which Smith (an official from Mettiki Coal) chairs. President Trump’s vow to bring back the coal industry’s heyday is a delusion. But it’s already inspiring Republican legislatures in Appalachia to resurrect a grim element of those boom times: loose safety laws that endangered miners’ lives and protected owners’ profits. 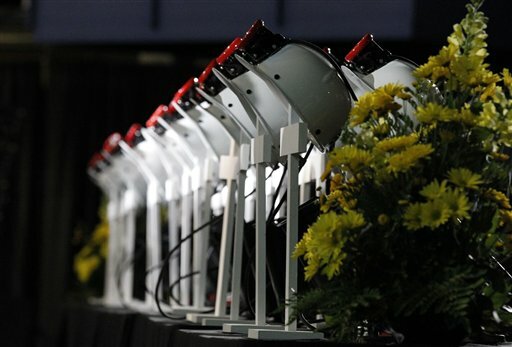 … Federal safety standards should be adequate, the sponsors airily insist. In truth, both state and federal governments should continue to exercise parallel responsibilities in protecting miners’ health and safety. This is particularly vital now that Mr. Trump’s proposed budget would inflict a 21 percent cut on the Labor Department, which is responsible for federal mine inspections. 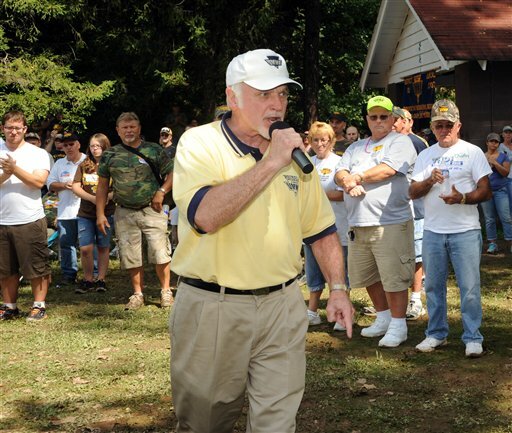 … Political pandering is nothing new in Appalachia, where the coal industry has wooed and intimidated generations of state lawmakers to favor mine owners. But this latest bout, launched in tandem with Mr. Trump’s fantasy job promises, can only leave remaining miners in greater danger on the job. March 15, 2017 by Ken Ward Jr.
As we reported here yesterday, the West Virginia Senate’s Committee on Energy, Industry and Mining met yesterday to take up SB 582, a bill to strip the state’s inspectors of any real enforcement role in coal mine health and safety (see also the companion bill introduced in the House). A longer story in today’s print edition (and online here) provides more details about that bill, and explains that the EIM committee sent the measure to a subcommittee for further review. It’s interesting to note that West Virginia is not alone in its effort this year to roll back mine safety protections under state law. This is also happening in Kentucky, and it’s already happened in Illinois. So far, I’ve seen no meeting scheduled for the subcommittee that’s looking at the West Virginia bill … so stay tuned. January 19, 2017 by Ken Ward Jr. This morning, when I looked a the calendar to see what the day ahead would be like, I saw the date: Jan. 19. 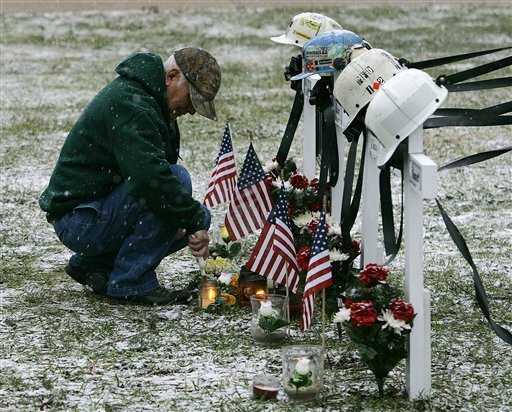 I was reminded of a Jan. 19 more than a decade ago, when the day took a terrible turn and two men working at one of Don Blankenship’s coal mines ended up dead. I’m sure it’s another hard day for the families of Don Bragg and Elvis Hatfield. The calendar can be like that for mining families. The winter months especially are way too full of dates that mark one awful disaster or another. PUBLISHED AUTHORED OPINION filed. Originating case number: 5:14-cr-00244-1. Defendant Donald Blankenship (“Defendant”), former chairman and chief executive officer of Massey Energy Company (“Massey”), makes four arguments related to his conviction for conspiring to violate federal mine safety laws and regulations. After careful review, we conclude the district court committed no reversible error. Accordingly, we affirm. We’ve got a lot of changes coming our way in this country. Come tomorrow, Donald Trump will be sworn in as our President. Already in West Virginia, we’ve seen what is likely a similarly significant change. On Monday, Jim Justice stood at the Capitol and took the oath as our new governor. As a candidate, President-elect Trump certainly talked a lot about doing away with government regulations, especially those he says were killing the coal industry. Governor Justice has promised to fight federal environmental regulations that get in the way of his industry, and says under his leadership. West Virginia will mine more coal than ever before. There’s obviously a lot of evidence that suggests the coal revival that’s being promised is very unlikely to happen. But today’s events, and the history of what happened today back in 2006, should make us think about this from another perspective. More alarms on devastating resurgence of black lung disease, but where’s the political outrage? December 16, 2016 by Ken Ward Jr. If you happened to be a regular reader of the CDC’s Morbidity and Mortality Weekly Report, yesterday’s bombshell about black lung disease was enough to frighten you. … Cases in this report were not identified through standard coal workers’ pneumoconiosis surveillance, and whether similar clusters of cases exist in other communities is not known. Thus, the actual extent of PMF in U.S. coal miners remains unclear. Across Appalachia, coal miners are suffering from the most serious form of the deadly mining disease black lung in numbers more than 10 times what federal regulators report, an NPR investigation has found. The government, through the National Institute for Occupational Safety and Health, reported 99 cases of “complicated” black lung, or progressive massive fibrosis, throughout the country the last five years. But NPR obtained data from 11 black lung clinics in Virginia, West Virginia, Pennsylvania and Ohio, which reported a total of 962 cases so far this decade. The true number is probably even higher, because some clinics had incomplete records and others declined to provide data. The reaction from experts in the field — people who have spent their adult lives studying black lung and trying to fight the disease — was nothing short of terrifying. I can’t say that I’ve heard really anything worse than this in my career. I’ve spent much of my career trying to find ways to better protect miners’ respiratory health. It’s almost like I’ve failed. The current numbers are unprecedented by any historical standard. We had not seen cases of this magnitude ever before in history in central Appalachia. I guess it’s still early, but the thing I notice is that my email inbox is pretty empty today. Where are the formal statements from West Virginia political leaders expressing their outrage at this situation? Where are the press releases demanding action? When anyone releases a new regulation aimed at fighting climate change or trying to curb mountaintop removal pollution, the last place you want to be is between any of our state’s politicians and a microphone or camera. But 1,000 cases of the most severe and deadly form of a disease that has killed 78,000 coal miners since 1969? Of course, nobody really much campaigns around these parts on a platform of promising to protect the health and safety of coal miners. Those days are gone, especially now that Ken Hechler has passed. We’re hearing a lot right now from politicians and the political media echo chambers about the middle class, the working class, people who live in middle America. What I can’t understand is how it is that issues like black lung — or any number of a long list of worker health and safety threats — isn’t really talked about like it’s a working class issue. During this year’s presidential campaign, Democrat Hillary Clinton did mention black lung, but only briefly on her website and in context of protecting the program that provides benefits to victims of black lung. She didn’t propose more steps to end this terrible disease. Secretary Clinton did talk a bit about coal miner safety, after former Massey Energy CEO Don Blankenship showed up at an anti-Clinton rally. She expressed her support for making crimes like Blankenship’s a felony, instead of a misdemeanor with a maximum of one year in prison. If President-elect Donald Trump talked about black lung, I must have missed it. But does anyone really believe a Trump administration will make tougher regulations and enforcement of mine safety and health protections a priority? When mine safety and health came up during our state’s gubernatorial campaign, it was in the form of a ridiculous attack by the United Mine Workers on Republican Bill Cole and in defense of Democrat Jim Justice, our now-Governor-elect who can’t seem to pay all his mine safety fines on time, and over a bill that was signed into law by Democratic Gov. Earl Ray Tomblin. What people who are truly friends of coal miners ought to do is make sure that all of our elected officials have to sit down and listen to what it sounds like for Mackie Branham — one of the coal miners Berkes interviewed — just trying to breathe. 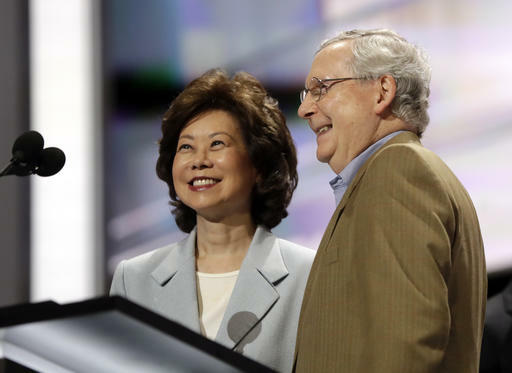 November 30, 2016 by Ken Ward Jr.
Elaine Chao is an excellent choice for transportation secretary. She is a trail blazer with a proven record of leadership. I enjoyed hosting Elaine in West Virginia during the Bush Administration and hope she will visit again in her role as transportation secretary to see why infrastructure is a top priority for the Mountain State. When I heard about this particular cabinet pick, my own memories went back to the speech that Secretary Chao gave after 13 coal miners were killed in a massive series of underground explosions at the Jim Walter Resources No. 5 Mine in Brookwood, Alabama, in September 2001. Of course, President-elect Trump has already nominated Wilbur Ross — who owned the Sago Mine when it blew up and killed 12 miners — to be his commerce secretary. And now Chao. It certainly takes those of us who follow mine safety issues back in time. In the deepest darkness of these tragedies, we have also seen the best that America has to offer. Whether it be the terrorist attack on September 11 or the mine disaster that claimed thirteen lives this last weekend, we are determined to do everything we possibly can to keep it from ever happening again. 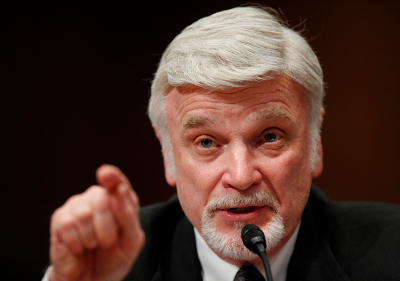 Of course, that wasn’t exactly what Chao did at Labor, or what the Bush administration’s pick to run the federal Mine Safety and Health Administration, Dave Lauriski, did either. The Bush administration’s record on mine safety speaks for itself, really … After Jim Walter came Sago, Aracoma, Kentucky Darby, Crandall Canyon … Forty-one coal miners killed in those disastrous — and preventable — incidents alone. The Bush administration had quietly stopped work on more than a dozen regulations aimed at improving mine safety, promoted budget cuts at MSHA, and encouraged regulators to regulate less and cooperate more with a highly hazardous industry with a history of death and disaster. The results eroded the ability of MSHA to protect the health and safety of miners, and a series of the agency’s own internal reviews reflected lack of resources and political will to do the job Congress had set out for its inspectors. MSHA was left unable to perform its most basic task — the mandated quarterly inspections of all of the nation’s coal mines. I wonder why Sen. Capito didn’t mention any of that in her statement on Secretary Chao. November 15, 2016 by Ken Ward Jr. 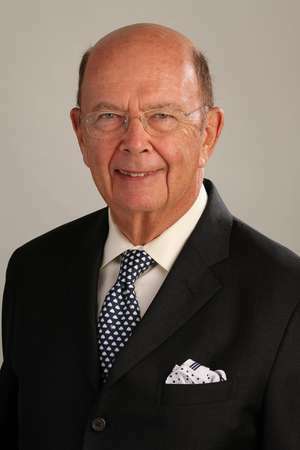 There are multiple news reports (see here, here and here, just for example) this evening that President-elect Donald Trump is strongly considering venture capitalist Wilbur Ross as his nominee to be secretary of the Department of Commerce or secretary of the Treasury. Readers in coal country may recall Ross as the man who really owned the Sago Mine, the International Coal Group operation in Upshur County where 12 coal miners died in a Jan. 2, 2006 explosion. 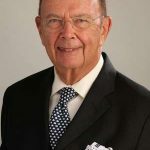 New York billionaire Wilbur L. Ross Jr. has controlled the company that owns the Sago Mine since at least early 2001, according to court records, corporate disclosures and other publicly available documents. Ross began buying up Anker Coal Group in 1999, with the purchase of a one-fifth stake in the company, according to U.S. Securities and Exchange Commission filings. By 2001, Ross had acquired 47 percent of the company – making him by far the largest shareholder, SEC records show. The possibility that Ross would get a spot in the Trump team isn’t that surprising, given that Ross has been reported for a while to be one of the President-elect’s economic policy advisers. It is worth pointing out that if he got either the Commerce or Treasury slot, Ross would not be in charge of coal mine safety and health regulation for the Trump administration. Folks who are concerned about those issues would obviously be better off watching to see who President-elect Trump makes Secretary of Labor — and then who exactly is chosen to by Assistant Secretary of Labor for Mine Safety and Health. Is something like Sago too much baggage for Ross to become a cabinet secretary? Well, considering some of the other appointments already announced by the transition team, that seems pretty unlikely. For the record, it’s certainly true that the Sago Mine didn’t exactly have a spotless safety record at the time of the deadly explosion — far from it, according to our stories published at the time (see here, here and here, just for example). Interestingly, though, the U.S. Mine Safety and Health Administration, when it issued the report of its investigation of the Sago Disaster, did not list any of the many violations its inspectors found as having contributed to the deaths. A separate report by an independent team — led by longtime mine safety advocate Davitt McAteer — found plenty of blame to go around, noting failures by regulators and the company to ensure the safety of the Sago workers. A confirmation hearing for Ross could give the Democrats in the Senate the opportunity to ask a few interesting questions … But then again, it’s not like either presidential candidate or the national media spent much time at all talking about worker safety and health during our nation’s just-completed presidential election. We’ve been discussing this week the things that President-elect Donald Trump simply isn’t going to be able to do for West Virginia’s coal miners, and the things that President Obama failed to do. So it seemed like a good idea to try to identify some things that the Trump administration could do for coal miners once it takes office in January. America’s companies have often promised us that, if you work for a living, you will be kept safe and healthy at work and you will have some financial security once you retire. Yet, tens of thousands of miners all across the Appalachian Region are losing health insurance after becoming disabled or retired, and others are confronting safety and health challenges on the job if they are still in the workplace. 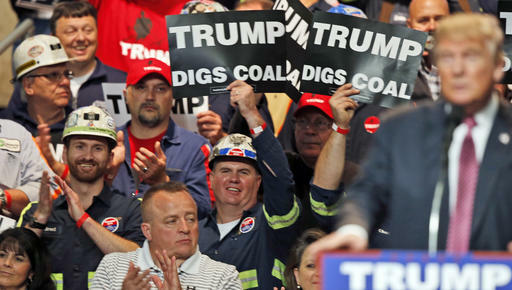 So, the new presidential administration faces serious challenges in assuring that companies keep those promises to coal miners—both for active workers and for retirees whose healthcare benefits are terminated or denied. Will our companies and government leaders keep the promise to America’s workers and seniors? This is an essential question for us to be asking. Coal miners have educated me about several increasingly important challenges as we have advocated together on workers’ and retirees’ rights over the past decade. Here are some of those challenges, and some steps that the new administration could take to address them. First, coal companies are laying off underground maintenance crews as a way to save money during a downturn in the market. Failing to provide basic levels of safe staffing at underground mines can cause major ventilation problems and other life-threatening hazards. When operators fail to employ ‘outby’ maintenance crews or additional workers to hang ventilation curtains, the remaining workers often find that they do not have enough time to perform all the necessary work to keep the mine safe and productive. We have long relied upon these maintenance crews to keep our mines safe and healthful. Cutbacks on maintenance can cause a mine to lose control of its ventilation system, or to fail to identify and to clean up roof falls and dust accumulations. It takes a good bit of time to maintain the ventilation systems (repairing or plastering stoppings to prevent air leakage, and maintaining other ventilation controls, etc.). It takes more time to conduct comprehensive preshift examinations and other safety-sensitive tasks. In many mines, the firebosses or preshift examiners cannot be relied upon to accomplish all of their firebossing tasks as well as to make up for non-existent outby maintenance crews. There is not enough time, and critical tasks will be short-changed. These are serious concerns because inadequate maintenance of ventilation structures can cause a lethal mixture of methane gas and coal dust—especially in sensitive areas like dead-air zones and methane mixing chambers. These concerns are also especially acute on a so-called “supersection” where there are two continuous mining machines on a single stream or “split” of air. In that setting, twice as much dust is generated and the need for full staffing is therefore greater. If the market picks up again, perhaps companies will start hiring back those maintenance crews and necessary helpers on supersections. But in the meantime, the federal Mine Safety and Health Administration (MSHA) can take important steps to assure adequate maintenance. For instance, coal mine operators are currently required to maintain roof control and ventilation plans for their mines. 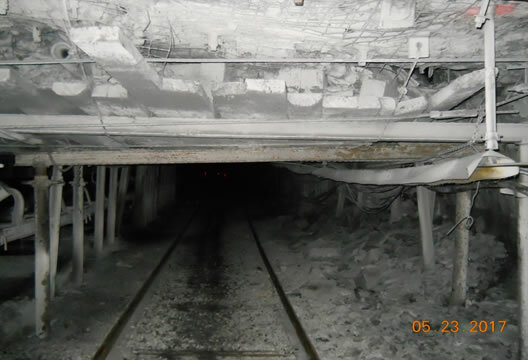 MSHA has the power to mandate that the roof control and ventilation plans provide for more frequent maintenance of ‘outby’ areas, so that stoppings are regularly plastered, spillages and falls are promptly cleaned up, and maintenance crews cannot be laid off. As for supersections, MSHA Assistant Secretary Joe Main has stated that best practices for staffing a supersection include a total of 16 miners: 1 foreman; 2 continuous miner operators; 2 continuous miner helpers that are also responsible for ventilation curtains; 4 shuttle car operators; 2 scoop operators; 4 roof bolter operators and 1 mechanic. This does not include outby maintenance crews, such as stopping builders or supply haulage positions (i.e., miners who are not regularly assigned to work at the mine face). MSHA can also work with the West Virginia Office of Miners’ Health, Safety, and Training to include similar requirements in the comprehensive safety plans that West Virginia coal operators are required to maintain. Second, black lung has been on the rise for years, and MSHA should continue addressing that problem by reducing coal miners’ exposure to all forms of breathable coal mine dust (both coal and silica dust)—including by prohibiting companies from ever permitting miners to work downwind from the active cutting of coal. The promise to end the advanced forms of black lung disease has long been a basic tenet of America’s law and policy for coal miners. But miners report that companies routinely force roof bolt crews to spend hours each night drilling into the mine roof while downwind from active mining machines, in flagrant and intentional disregard of the lethal dust exposure for those downwind miners. It is no surprise that we have a new surge in advanced black lung disease in the twenty-first century when we allow coal operators to treat miners in this fashion. Every miner (non-union and union alike) has the right to complain to management about working in dusty conditions downwind from active mining machines in what is known as “return air.” A growing number of miners are exercising that right, and are outright refusing to work in such conditions. I routinely speak with and represent young men in their thirties or forties who have already worked as roof bolters for over fifteen years in the coal mines of eastern Kentucky and southern West Virginia. Several of them have banded together to refuse to operate their roof bolt machines in return air at such mines as the Gateway Eagle Mine in Boone County, and others. These miners are demonstrating that it is possible to run good coal and not expose miners to toxic levels of dust. Despite the courageous efforts of a growing number of miners who are banding together and refusing to bolt in return air, additional action by MSHA is necessary in order to prevent companies from pressuring miners to resume working in return air. MSHA can stop this practice altogether by prohibiting companies from ever permitting miners (roof bolters, buggy men, or anyone) to work downwind while a machine is actively cutting coal on a section. No miner should have to stand for hours just a few feet from a continuous mining machine, breathing unfathomable amounts of highly-toxic coal and silica dust. MSHA has the power to outlaw that type of work practice. Under the leadership of Assistant Secretary Joe Main, MSHA has taken some very important first steps to address the issue of black lung, such as reducing the permissible exposure limit and mandating better dust monitors. MSHA recently introduced a new generation of dust control technology via the continuous personal dust monitors. These new dust monitors are empowering miners with real-time information about dust exposure. Dust control is a major challenge nationwide, but especially in Central Appalachia, where miners are often forced to work in highly-toxic sandstone and silica dust, mixed with coal dust, in order to access the thin-seam coal reserves that are still left over for mining in this region. The new dust monitors are helping miners to avoid toxic dust exposures that can cause early onset of black lung in young miners. But the monitors alone may not halt the surge of black lung if the new administration does not take additional steps to strengthen enforcement and eliminate acute dust exposure in “return air” downwind from active mining.